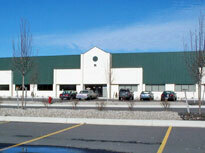 We are located in Taylor, Michigan, 4 miles south of I-94, 1 mile west of Telegraph. The Detroit location serves central and eastern Michigan including the cities of Port Huron, Ann Arbor, Flint and Saginaw. This location also serves northern Ohio including the cities of Defiance, Bellevue, Toledo and Findlay. Continental Carbonic Products, Inc. in Detroit, MI is one of 46 locations in the U.S. and Canada where you can buy dry ice in both cut block and pellet form. Continental Carbonic offers the highest quality, food grade dry ice in the industry.